Brianna Burgess is a retail investment professional focused on the disposition and acquisition of single- and multi-tenant net-leased properties nationwide with a specific concentration on net-leased casual dining properties. 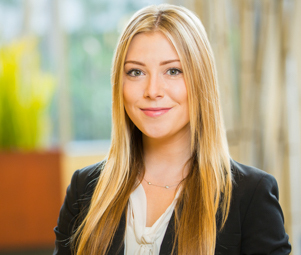 Whether you are a first time investor looking to create long term stability and cash flow, or a seasoned institutional owner with specific capital placement requirements, Brianna is committed to spending the time and effort to ensure that client’s expectations are met in a timely manner. Brianna’s extensive market knowledge, experience, and relationships help her exceed client expectations in obtaining the highest value for their properties on both single unit and large portfolio scales. Brianna has worked for Merrill Lynch, which gave her a concrete understanding of wealth management and the importance of providing optimal service to her clients.